The District Council will make the final decisions on parking restrictions. However, LRA understands that the scheme will NOT go ahead in the form published last October. Before anything more is done on introducing a Controlled Parking Zone, NEPP officers will conduct a safety audit of road junctions, bus routes, schools etc to identify where safety restrictions are needed. LRA argues that permits should be used only where life for residents is made very difficult by commuters. No further information is available at present. When we know more, we’ll let residents know on social media & markets. LRA Cllrs have not yet been able to find out from NEPP when they will produce a report on their public consultation (they failed to involve LRA Cllrs in its preparation of the consultation, and in the event the consultation was a shambles). NEPP proposals here (click on Epping Forest District Amendment 24). The report will go to the District Council for a decision. LRA Cllrs will be urging the Cabinet member to limit immediate parking controls to those roads where residents are already suffering from commuter parking – other roads should only be included later on if appropriate, based on the experience of those roads once the degree of commuter displacement becomes apparent. Over a year ago, with few objections from residents, NEPP introduced residents’ parking controls in the roads nearest to Debden station/town centre, because residents were unable to find anywhere to park at the kerbside near their homes. Other parking was displaced into the surrounding roads. where there is already a commuter-parking problem, where many residents want parking controls so they can park near their homes. nearby roads which don’t currently have a commuter-parking problem but which may suffer serious displacement – if so, NEPP could introduce parking controls here much faster than by starting afresh). NEPP failed to consult LRA Cllrs on their consultation wording, and totally failed to explain what was intended when they advertised the Order for objections - understandably, some residents were very upset by this. 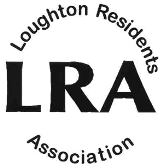 LRA Cllrs will support residents in the outer streets who don’t want their roads included in the scheme - and residents who are already suffering serious commuter-parking. Even so, LRA thinks that some of these roads (such The Lindens – see below) were included unnecessarily. In roads where there’s little or no commuter parking at present, LRA Cllrs will support residents if they decide they don’t want their road to be on NEPP’s list. The final decisions will be made by Epping Forest District Council but your LRA Cllrs will do their best to make sure residents’ views are respected. And if in a couple of years’ time it turns out that some of these roads do have a commuter problem because commuters been displaced there by next spring’s new restrictions, then LRA will support residents in trying to get parking controls (if that’s what they then want). Some residents want the whole of the parking Order to be scrapped. However, this would leave all the residents in roads where there is already a commuter-parking problem without any residents-only parking, and still unable to park anywhere near their homes. The District Council Portfolioholder, Cllr Sam Kane, with the advice of local LRA Cllrs, and in the light of residents’ views, has asked NEPP to remove The Lindens from the Order altogether. At the beginning of this process, LRA Cllrs Chris Roberts and Chris Pond had suggested that The Lindens should be excluded, but NEPP advice was otherwise. It has been acknowledged that the Order could not have applied to Hogarth Reach, as it is a private road. A year ago, with few objections from residents, NEPP introduced residents’ parking controls in the roads nearest to Debden station/town centre. because residents were unable to find anywhere to park at the kerbside near their homes. Other parking was displaced into the surrounding roads. - where there is already a commuter-parking problem, where many residents want parking controls so they can park near their homes. - nearby roads which don’t currently have a commuter-parking problem but which may suffer serious displacement – if so, NEPP could introduce parking controls here much faster than by starting afresh). NEPP totally failed to explain this when they advertised the Order for objections - understandably, some residents were very upset by this. NEPP’s intention is to impose permits (probably next spring) only where there is already a need, because residents cannot find curb-side parking near to their homes because of non-resident parking (commuters and others). Non-residents’ vehicles will then be “displaced” into the surrounding roads. In the current draft Order, NEPP has included the roads where this might happen. However, we understand that NEPP does not intend to bring in residents permits in these roads unless non-residents’ vehicles are displaced into them and residents then find it hard to park near their homes (NEPP did not include this vital information in the letter they sent out). The final decisions will be made by NEPP but your LRA Cllrs will do their best to make sure residents’ views are respected. Late news: the District Council Portfolioholder, Cllr Sam Kane, with the advice of local LRA Cllrs, and in the light of residents’ views, has asked NEPP to remove The Lindens from the Order altogether.